The 300-watt sub woofer provides the extra slam below 100 hertz required by some of today’s listening trends. 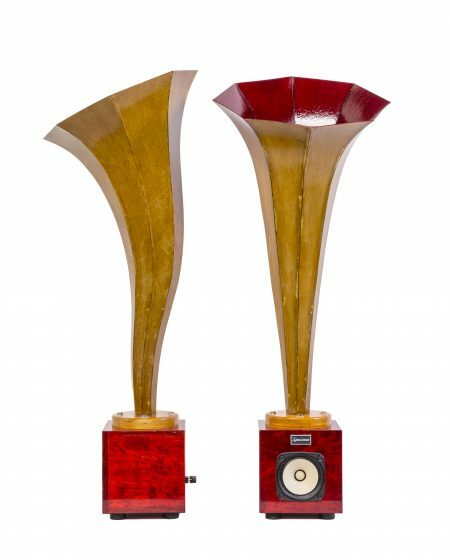 Paired with Specimen Little Horns Speakers and the Hi-Fi Stereo Amp – it’s the perfect for use in a favorite listening room, office or apartment. Applications also include 2.1 channel Home Theater, I-Pod, MP3 player, portable CD player and other audio devices. 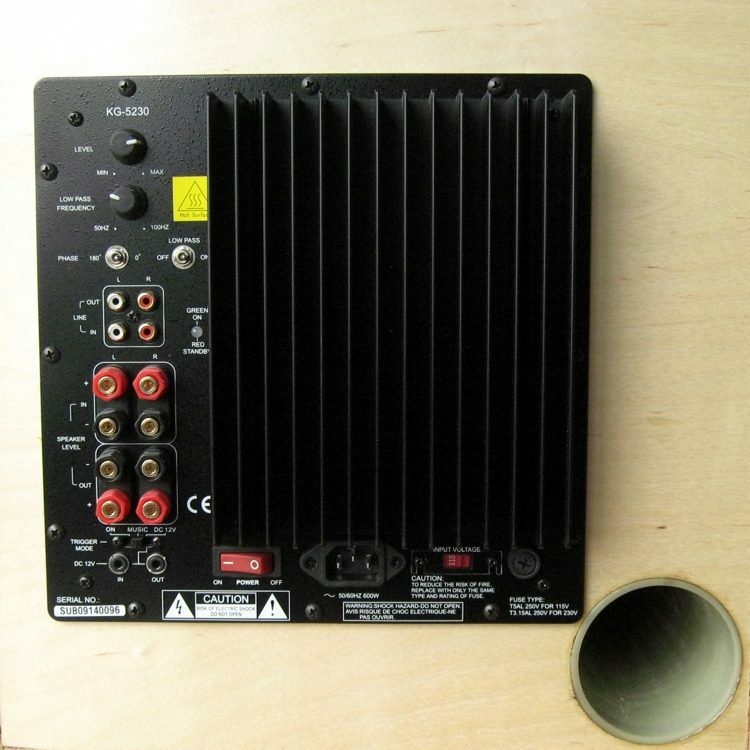 This subwoofer uses a Keiga 300- watt plate amp and can be inserted into the signal path either at the line level input or the speaker output. The crossover point can be adjusted anywhere between 50 and 100 hertz. 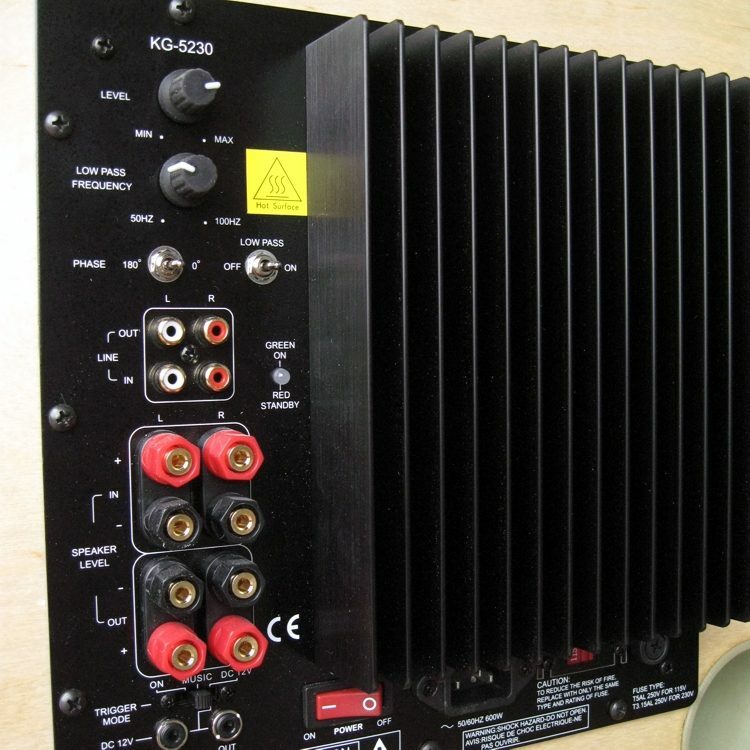 The Keiga KG-5230 is a plate Subwoofer amplifier with electronic crossover. 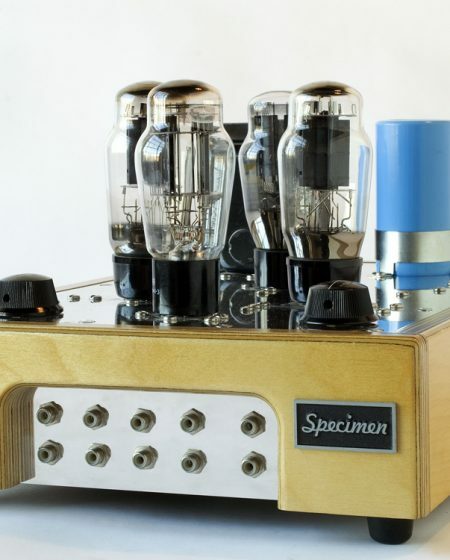 This amp has an adjustable electronic crossover and possesses enough power to deliver excellent bass without added distortion. 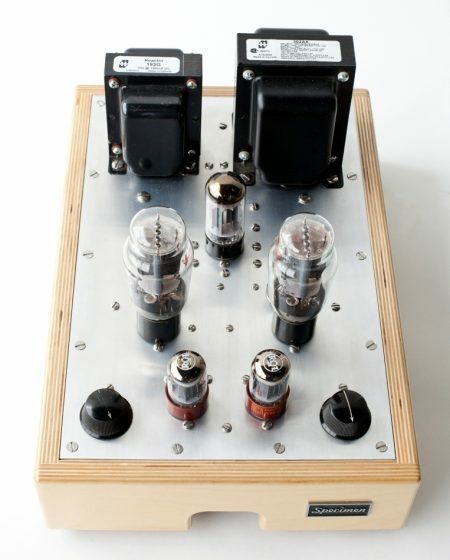 We are confident this amp will meet the demands of both home theater and high end audio systems. 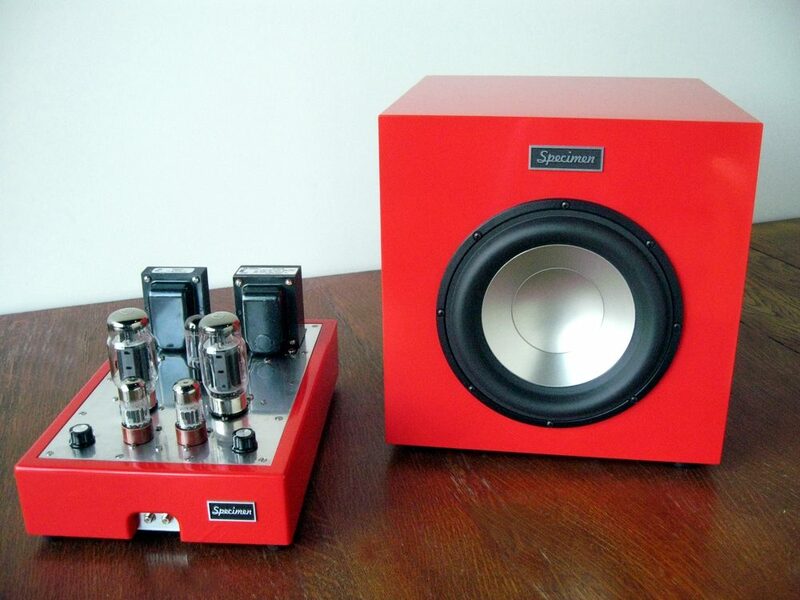 Powered subwoofers are a versatile addition to your audio system. 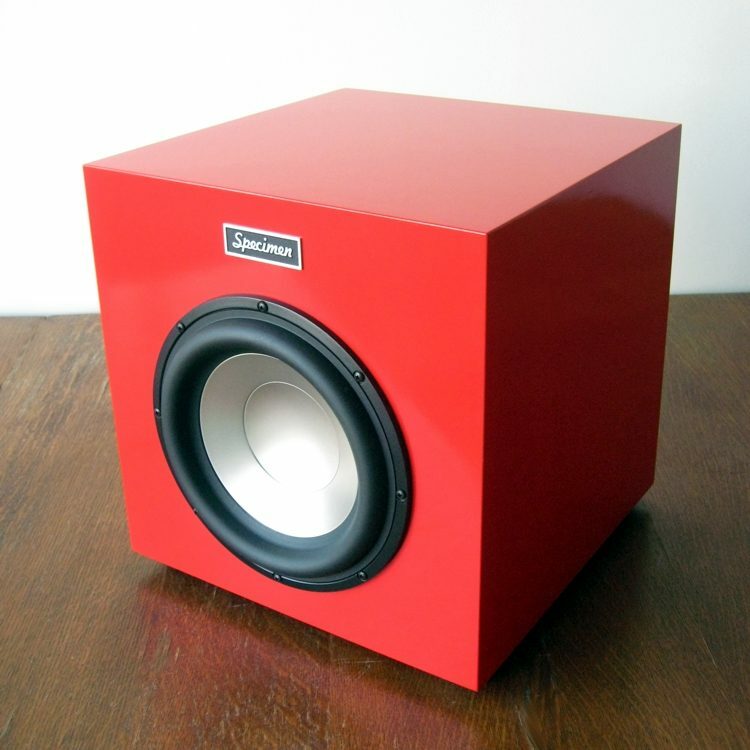 With the variable crossover and volume control, you can match this subwoofer to any existing system. The crossover can be turned off if you are using the amplifier with a system that already has a built in crossover. 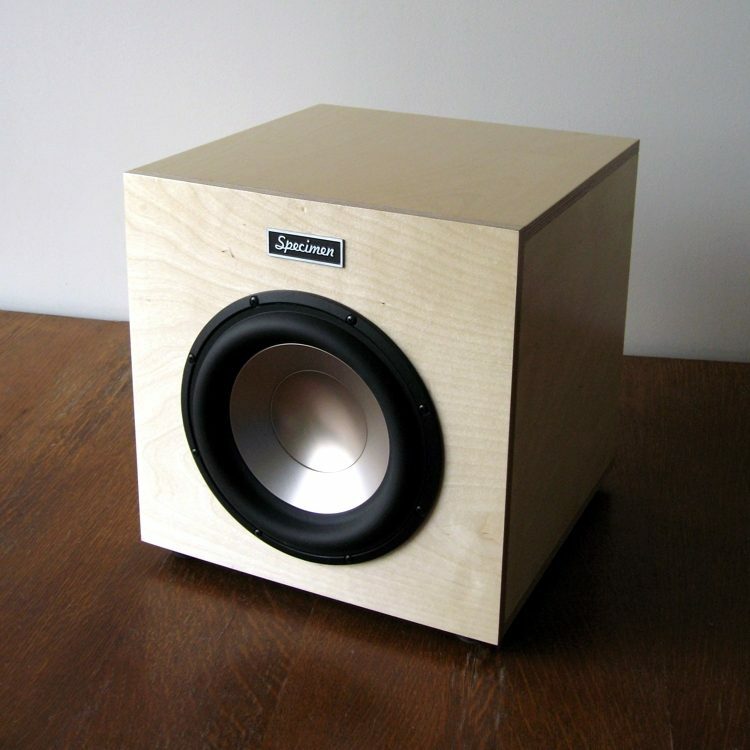 The Specimen Subwoofer uses the excellent Seas L26ROY 10″ speaker. 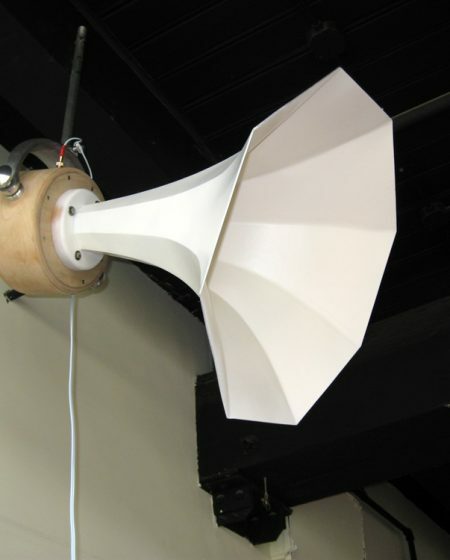 Its extremely stiff and rigid aluminum cone gives tremendous bass precision. Extra-large magnet system provides high-efficiency and low Q. 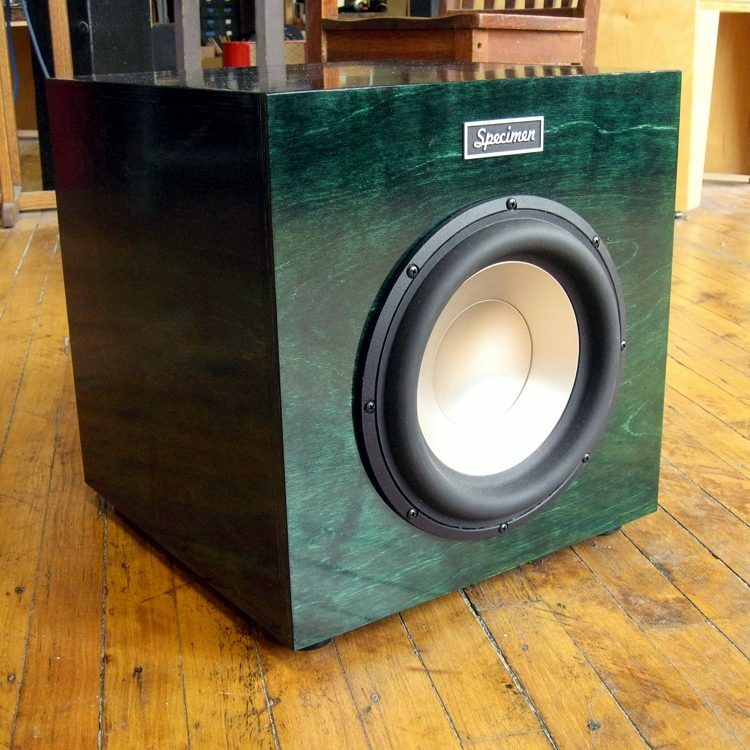 These subwoofers are entirely handmade at our shop in Chicago, IL. 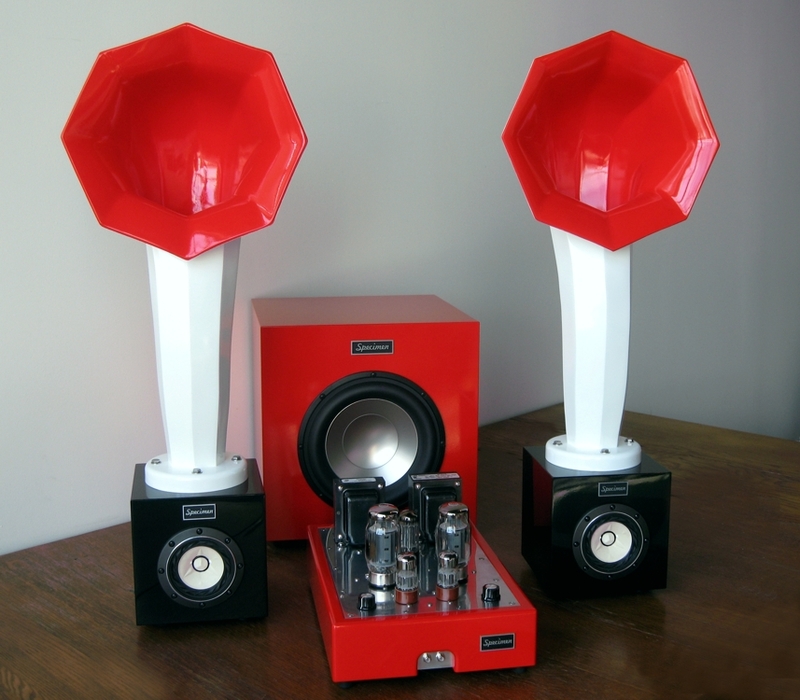 They are made using the same Baltic birch plywood we use for the Little Horn bases and hi-fi amps and can be finished to match perfectly. 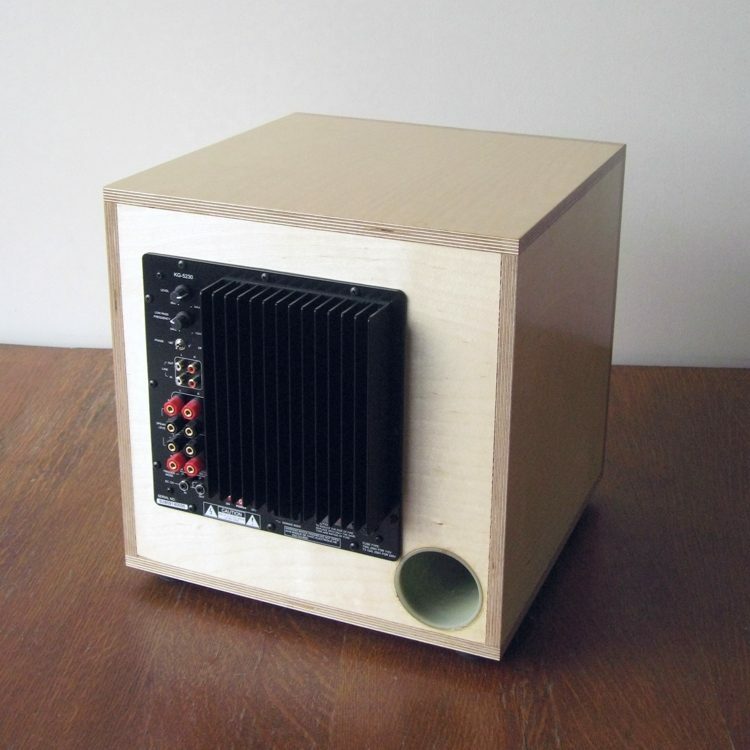 The unit is a 14-inch cube and weighs 60 lbs.